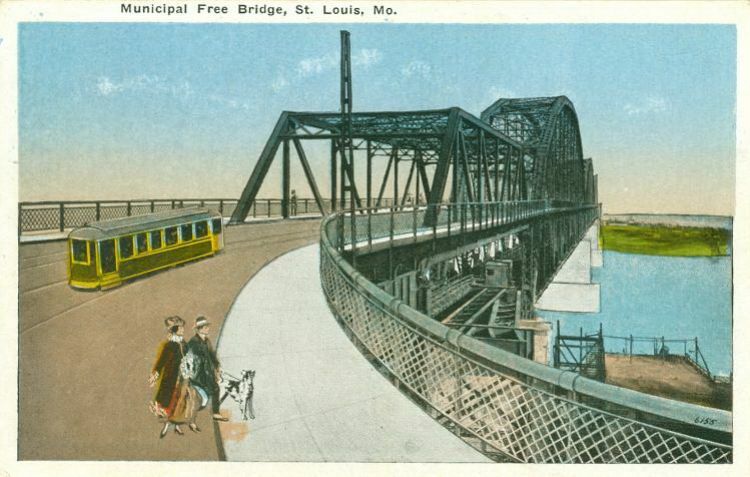 The Municipal Bridge opened in 1916, the first free crossing of the Mississippi in St Louis. In 1942, the bridge was re-named in honor of General Douglas MacArthur. The bridge carried 66 from 1929 to 1935, and City 66 from 1936 to 1955. It closed to automobile traffic in 1981.